The heat of Texas Summer is over – mostly!! Fall weather is late but it is upon us again and Winter is just around the corner. Many homeowners call us with heating issues and aren’t sure what kind of heating system they have. Below are the common types of heating systems in Texas that you will find in your home and how to identify them. A rigid, 1/2″ gas line running into the heating unit. Look at your breaker panel and find the breaker labeled “heat”, an electric heating system will have one large breaker (100amp) or two medium sized breakers (30 amp or 60amp). Look at your indoor heating / AC unit – the absence of the 4″ flue vent or rigid gas line described for the gas furnace is another clue that you have an electric heater. If you have electric heat don’t feel like you are destined to pay heating bills forever. Fortunately, you can pair electric heat with a Heat Pump unit that we will talk about next to keep the winter bills down. The concept of a heat pump is something that can confuse customers if they haven’t worked with one before. Here is why: A heat pump creates heat by running your air conditioner in the winter time. How is that possible? A heat pump has the ability to reverse the cycle of refrigerant so that it makes hot air in the winter and cold air in the summer. Heat pumps run off of electricity also, but have the advantage of using less energy than most electric heat systems. Heat pumps are designed for moderate climates like DFW, so they have trouble keeping up when the temperature dips below freezing. 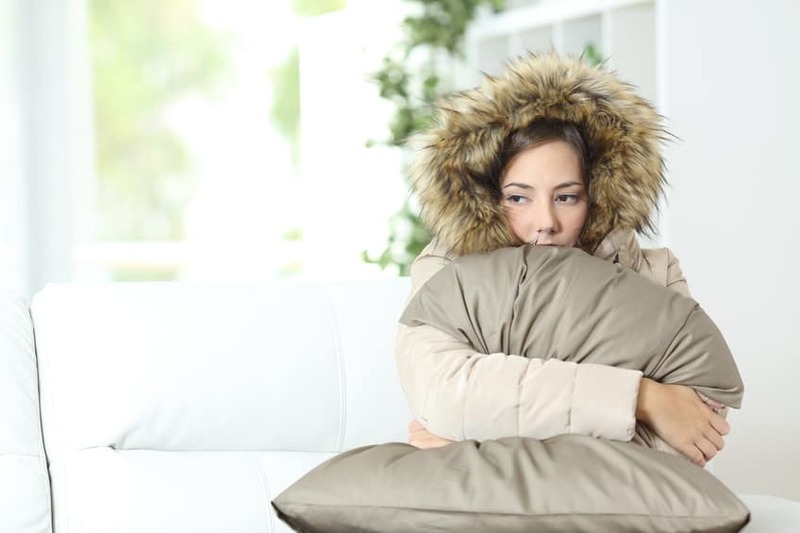 Because of this, heat pumps are usually paired with “emergency” heat systems to keep you warm in the extreme cold. Since heat pumps look like regular air conditioners, they are difficult to identify by the untrained eye. One way to check is to look at your thermostat. Go through the COOL/HEAT/OFF settings. If you come across a setting that says EM HEAT or AUX HEAT, odds are that you have heat pump. So if you aren’t sure what is heating your home, take the information you learned today and go take a look to see what you have. Keep in mind that heating equipment is dangerous and easily burn or electrocute anyone who isn’t trained and being cautious. Always rely on an expert for your heating maintenance and repair needs. What Can Your Thermostat Do For You? Does your thermostat have a little stick that you slide to the temperature you want or does your thermostat lack programming features? If so, then you are missing out on the many benefits that new thermostats have to offer. You can save as much as 10% a year on heating and cooling by simply turning your thermostat back 7°-10°F for 8 hours a day from its normal setting. Thermostats today have a myriad of options ranging from simple to complex. All can increase your comfort while saving you money and some can become the base for all of your home automation needs. Energy savings from being able to tailor your use of your air conditioner – Try turning down the thermostat 5 to 10 degrees at night, and then turn it up again in the morning when the coffee is brewing. This kind of adjustment can save 5 to 10 percent of your heating bill. Our summers get hot and we’re all thankful the temperatures are going down, even if it was still 86 degrees on the evening of Halloween. Setting your thermostat as close to the outside temperature as possible is using it efficiently. The smaller the difference between the indoor and outdoor temperatures, the lower your overall cooling bill will be. One of the most useful benefits or programmable thermostats is being able to set a higher temperature when you are away, and lower the thermostat setting to 78°F (26°C) only when you are at home and need cooling. With the new advances of the Internet of Thing devices, you can even “call” ahead to your home and cool it down on your way back. You may want to drop that temperature quickly, but setting it on its lowest setting will not cool your home any faster and could result in excessive cooling and unnecessary expense. Avoid setting your thermostat at a colder setting than normal when you turn on your air conditioner. Setting a temperature schedule can ensure that your home is cooled or heated to your liking at all hours of the day, refer to the chart above for a guideline for scheduling. Wifi thermostats allow you to change the thermostat setting via your phone from anywhere in the world. Thermostats today are designed to be appealing to the eye not be an eyesore. Many models have options to change the color to match your preference. 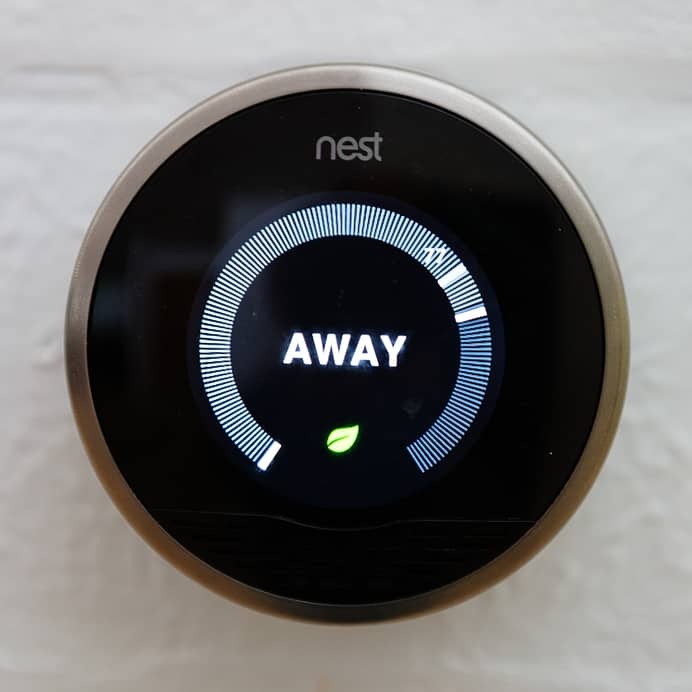 Have your thermostat properly installed – Here’s what you need to know about proper and safe installation of your programmable thermostat, as well as when you should call a certified HVAC contractor to handle the installation for you. – Call us today to discuss your thermostat options! It’s the middle of Summer, you have guests in town, and your air conditioner decides that today is a perfect day to stop cooling. These machines seem to know when it is the worst possible time to give up on us. As a result, you want to get it fixed quick. Here are a few things that anyone can check on their air conditioner and prevent an unnecessary visit from the AC guy. It sounds simple, but most gas furnaces are powered by a light switch or a plug that goes into a standard outlet. Take a look at the indoor air conditioning unit and see if the switch is on/ the plug is plugged in. If the plug is in, you may want to plug another appliance(ex: hairdryer) in the outlet to make sure the outlet is good. You wouldn’t believe how many service calls are for this reason alone. Open the electrical panel and see if any breakers are tripped. If they are marked “Air Conditioner, Furnace, Heat, or Air Handler” try to reset the breaker. If it trips immediately, don’t reset it. Further inspection is needed by an air conditioning company or an electrician. Take a look at your thermostat. Is the display blank? If so, replace the batteries. We all change our filters within 30 days exactly, right? Well, not always. If your filter is clogged with dirt and dust then it could cause the unit to freeze up or overheat. Check the coils on your condenser or outdoor unit for dirt. As a result, aq`a dirty condenser coil will cause the outdoor unit to be over stressed and not cool properly. If it is dirty, turn the power off to the unit and spray a garden hose on the coil to remove the dirt. Let the water dry and turn the power back on. 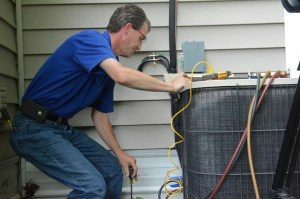 If you check all of these things and find nothing out of the ordinary, you can feel confident that your money will be well spent on an air conditioning service call.